Lance Bass reflects on his longtime relationship with Donald Trump – who he says has been very supportive of his career – and expresses his deep disappointment in the presidential nominee for stoking the flames of hatred in America. “It’s scary – it’s really validated a lot of people’s dark feelings inside of them,” he tells Larry King. Larry King: In 2014 you judged the Miss USA pageant? Larry King: Did you have a, do you know Donald pretty well? 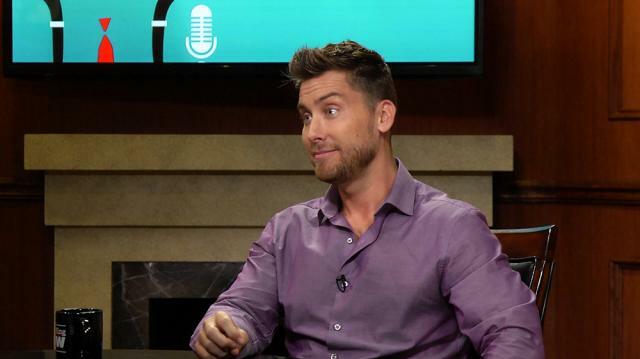 Lance Bass: I’ve met Donald a few times. You know, he uh, he gave us a couple of jobs. Miss Teen USA was one of NSYNC’s first performances back in Louisiana years ago. And I got to judge again a couple years ago for him. Um, and he’s been very supportive of our career. Larry King: He said he’s also very supportive of gays. Do you believe that or not? Lance Bass: Um, you know what? Knowing, knowing Donald Trump, I don’t think he hates gays. I think that he knows how to pander to his audience to make sure they think that he doesn’t like gays. Um, so no, I don’t think he’s against gays but I thank that the platform he’s running on right now, he’s going to do everything he can for those constituents. Larry King: Is he disappointing to you? Lance Bass: Very disappointing. Um, he’s disappointing because I know, I know what it is. You know it’s one big marketing PR scheme and being in the entertainment industry I can just see that. And we all see that and have been kind of, on this side of it. Um, but what I’m most disappointed in is how much he has riled up this fan base. It’s scary, it’s really a lot of people’s dark feelings inside of them. Those bigoted feelings, and now they feel safe to come out and be that way and that’s just, it’s scary and sad and I feel like I’m living in the 1960s.